Zombies. Pirates. Cowboys. Ninjas. Superheroes. Robots. From the tabletop to the silver screen, there are some things that never fail to get blood pumping and passions burning. How do you bring these ingredients for instant fandom to the boil? Make everything bigger and deadlier, of course. 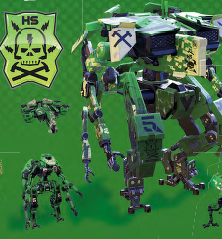 Enter Giant Killer Robots: Heavy Hitters, the debut board game from Weta Workshop. While Weta’s name may be a stranger in the tabletop world, film fans will recognise the New Zealand design studio from its Oscar and BAFTA-winning visual effects work on mammoth blockbusters including the Lord of the Rings and Hobbit trilogies, King Kong, Kong Ava tar, tar Mad Max: Fury Road and this year’s Ghost in the Shell. In other words, big, beautiful and deadly are Weta’s bread and butter. 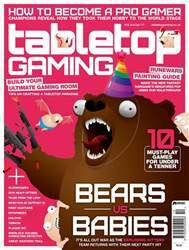 Still, jumping from multi-million-dollar movies to the comparatively tight-knit realm of tabletop gaming may seem a curious move for the distinguished outlet.